Discussion in 'Macro, Flowers, Insects, and Greenery' started by kramp, May 25, 2005. Went over to the pond this afternoon with some hip waders, lots of creatures in and flying above the water. I was using the 300 f4 afs + kenko Pro 300 teleconverter. The Dragon is uncropped and the Damsel I did a vertical crop, pretty good magnification for a telephoto lens. Thanks Keith, there must be some dragonfly larvae in the pond now with all the adults there I will have to go hunting for them so I can add to my underwater bug collection. martin .. great work with fine details! i love allof them, but especially the first - its like its coming out of the dark. i like those special light! Thanks Klaus, I appreciate the comment. Isn't it great what excellent 'almost macro' shots these 300mm telephoto lenses can produce? Maybe not quite as good as a true macro, but danged close, and the working distance is so much more convenient. I really like the 3rd one. Great color, very clear. Looks to be on a Yucca plant leaf. Great shots and it had to be fun with the selected equipment. Yes, nothing like five feet of workiung distance, it allowed me to use the tripod for these skittish insects. I just got tired of the water running into the top of my boot when I squat down to get the shot. Thanks Dave, he is on a blade of grass, and is just over an inch long. Hi Martin. 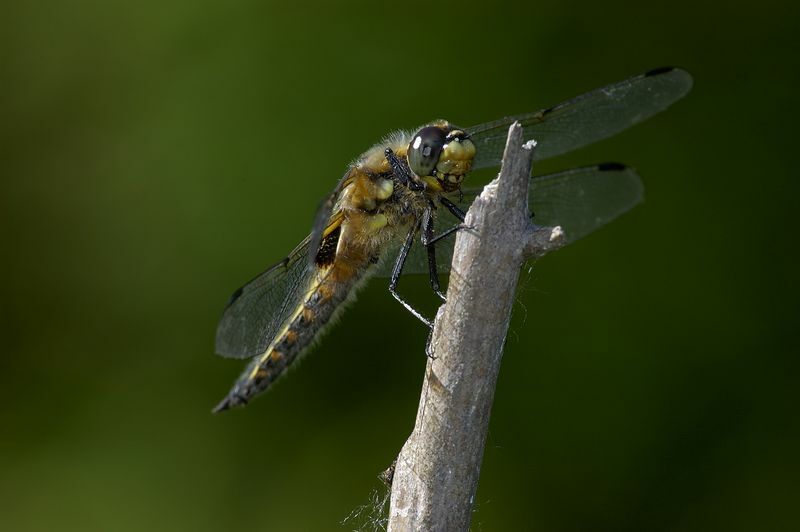 The spring is so damn cold in Cornwall UK that there is very little Odonata about at present, although there are in other parts of the UK. In the UK the first is known as L.quadrimaculta. 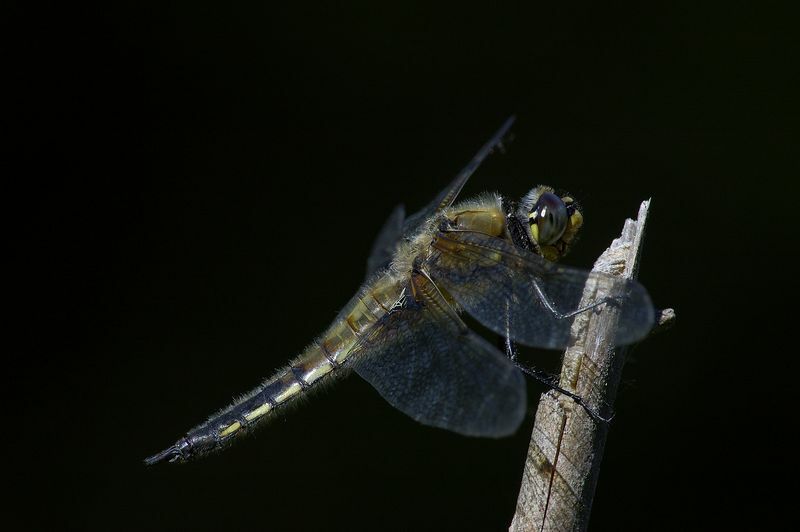 The Four Spotted Chaser, and the second would be C. puella. 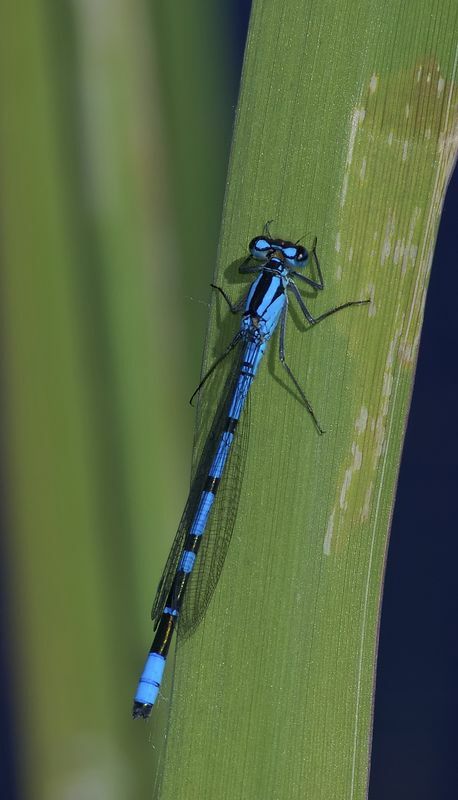 The Azure Damselfly. Thank goodness I am off to France soon, as I am getting serious withdrawl symptoms. Martin, excellent job! As Klaus already said, the first one is special. It will warm up soon Bob, we are getting are first really warm weekend coming up so I will try to spend some time at the pond. Thanks for the comment Harry, I am going to try some later light tonight and see how that works. maybe I will get more like that. Thanks for the comment Bryan. They are all extremely well done, however I like the damselfly the best. I have taken literally dozens and dozens of blue damselfly photos and have yet to capture one as good as this--excellent! Keep up the good work! Thank you very much for the nice comment Jerry, much appreciated.